2nd Annual Simulation Conference - Dean Jeffries from GW School of Nursing on Vimeo. Discuss and examine the value of simulation in hospital-based simulation. Analyze current state of simulation in advanced practice education. Identify research initiatives to justify increased use of simulation for the future of nursing education. Pamela R. Jeffries, PhD, RN, FAAN, ANEF, professor and dean of the George Washington University School of Nursing, is internationally known for her research and work in nursing and health care education. Throughout the academic community, she is well regarded for her scholarly contributions to the development of innovative teaching strategies, experiential learning techniques, new pedagogies and the delivery of content using technology. 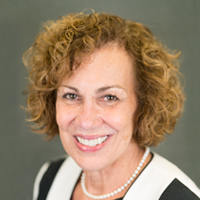 Suzan Kardong-Edgren, PhD, RN, ANEF, CHSE, FSSH, FAAN, is an internationally known thought leader and sought-after speaker on simulation. Dr. Kardong-Edgren received the highest honor in nursing education for simulation from the National League for Nursing, the Debby Spunt Lectureship in 2010. 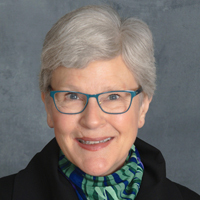 She serves as a consultant to the National Council of State Boards of Nursing on the landmark National Simulation Study, one of the largest nursing education studies ever undertaken. She is also a co-investigator on the high-stakes testing project for the National League for Nursing. 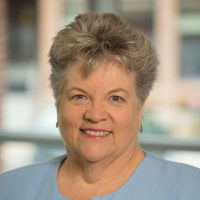 Carol Durham, EdD, RN, ANEF, FAAN, is known as a leader in the fields of health care quality and safety, nursing education, interprofessional education, and medical simulation. Dr. Durham was inducted as a Fellow of the National League for Nursing Academy of Nursing Education in 2009 and inducted as a Fellow of the American Academy of Nursing in 2013. Dr. Durham is a professor and director of the Education-Innovation-Simulation Learning Environment ( EISLE) for the University of North Carolina at Chapel Hill School of Nursing. 20% OFF for groups of 3 or more. Contact [email protected] to receive code. For our attendees' convenience, we have reserved a block of rooms at a discounted rate. Please be sure to book your stay by March 1, 2019 to take advantage of the rate. Any questions or inquiries about the conference should be sent to [email protected].